Starting your own small business has always been challenging. Although digital technology has made some things easier, in recent years it has become increasingly difficult for new entrepreneurs to secure financing for their small businesses. In a climate that is less small business-friendly, alternative small business loan options do exist. They even welcome applications from entrepreneurs with less than perfect credit. 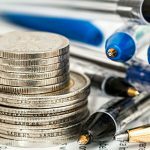 What really makes alternative lenders unique are the approaches they take, which are usually highly personalized and centered on the needs of small business owners. One of the best features of alternative small business lenders is that they are open to discussing the specific needs of each applicant. Thus, if applicants are looking for cash flow solutions, researching heavy equipment loan rates, or simply in need of fast small business loans, alternative lenders can provide easy business loans to meet a variety of needs. One especially helpful service they offer is accounts receivable financing. Accounts receivable financing is also known as factoring, and it is basically the purchasing of invoices by a third party lender. When those invoices are paid to the borrower from their customers, the money goes to the lender. Since accounts receivable financing is based on your customers’ credit it is not considered a debt. From the perspective of the lender, your accounts receivable is considered an asset that will, essentially, come to “maturity” when your customers pay. Accounts receivable financing is an especially useful payment option for small businesses, start-ups, and even struggling businesses that do not have the necessary capital on hand. Given that accounts receivable financing is based on your customers’ credit history, most lenders will check your customers’ credit before coming to a loan decision. 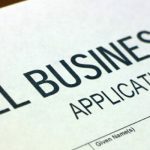 If you own a small business, or are considering starting one, but are having trouble securing a small business bank loan, alternative small business lenders might be a solution. Since they consider small business to be a cornerstone to any healthy economy, they are supportive of your vision. Even if your credit is not perfect, alternative lenders offer unique loan options that are worth checking out. Worried About Closing for Good? Loans Can Help.